3M Top Hat Gland Kits in the THG Range are designed for use with Medium Voltage Cables in conjunction with Termination applications and feature 3M Cold Shrink seals. 3M Top Hat Gland Kits in the THG Range are designed for use with Medium Voltage Cables in conjunction with Termination applications and feature 3M Cold Shrink seals. These Gland Kits are manufactured from Galvanised Steel and utilise 3M Cold Shrink to seal onto the MV Cable which means there is no need to use heat, or special tools to install. The 3M Cold Shrink Outer Sealing Tube delivers an effective environmental seal that provides resistance to Acids, Alkalis, UV Light, Fungus and Ozone. Replacement 3M Cold Shrink Sealing Kits are available for these Top Hat Glands - Please select the appropriate kit from the menu. 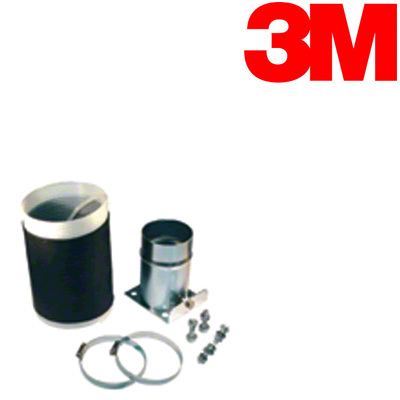 3M Gland Kits are made from galvanised steel and use Cold Shrink as the sealing method – further reducing installation cost and Health and Safety related administration. The Cold Shrink outer sealing tube will provide a reliable, environmental seal resistant to acid, alkalis, ozone, fungus, and UV light. 3M Top Hat Gland Kit with Cold Shrink Seals for Medium Voltage 6.6kV 11kV Cables together with Cold Shrink Cable Terminations.